The attendant is organizing the growing mess in front of car washing station. I’m waiting looking around. Within 10 minutes I go into washing area, making sure all the windows are closed(seriously). I got a new mobile phone, there’s a quit good camera included so I have new addiction. The water was everywhere and I could see nothing. Look. 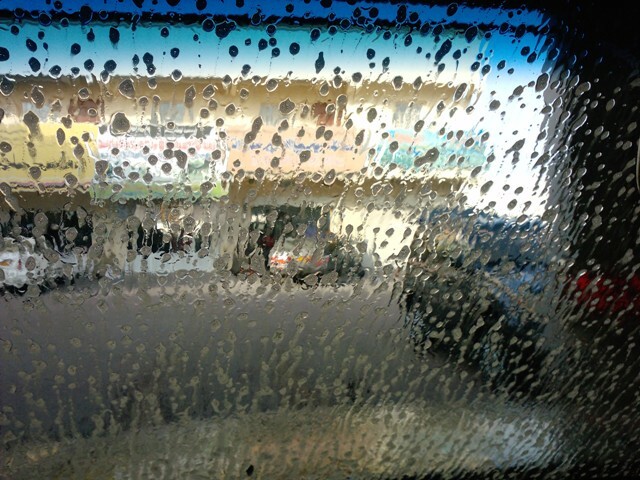 This entry was posted in Muscat, Pictures and tagged car washing, pictures. Bookmark the permalink. That`s the view I get cycling to work in wet, windy England! Did your phone survive? I was sitting inside the car.